11 Şubat 2019 Pazartesi 06:00 - 6 reads. 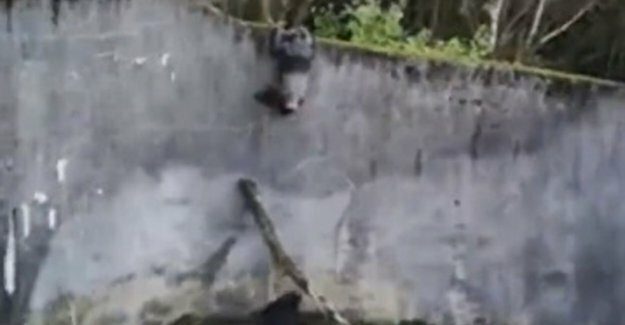 Animals Some chimpanzees used yesterday in Belfast Zoo a branch to get out of their stay to climb. The branch broke earlier that day during a storm. A visitor explained the spectacular escape on the image. “They are smart animals,” says Alyn Cairns, an employee of the zoo. “They know that they can't be allowed to do”. The incident went well. The monkeys were to have their stay reduced.